As one of the most consistently-pleasing, early rock revivalists, Dave Edmunds has worn many hats over the past four decades, including that of celebrated guitarist, iconic producer, and former partner to Nick Lowe in the legendary band Rockpile. Fans of the famous Welshman have much to celebrate in 2004 as Columbia Records has compiled, remastered, and reissued three separate albums of classic material from Edmunds. 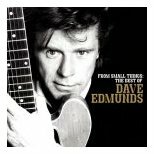 From Small Things: The Best of Dave Edmunds is the ninth — give or take a few — compilation of material issued by various record labels in Edmunds’ name. This particular collection spans Edmunds’ solo career with a focus heavily weighted toward his 1980s era with Columbia Records. Most of the critical bases are touched, including the country cover Warmed Over Kisses (Left Over Love) and the speedy Crawling from the Wreckage. Both I Knew the Bride (When She Used to Rock and Roll) and Girls Talk appear on the disc as live tracks. His iffy (and dated) collaborations with producer Jeff Lynne are present in the form of Information, Slipping Away, and Something About You. The package also features some reasonably strong soundtrack rarities including Run Rudolph Run, Stay with Me Tonight, and Let It Be Me. Unfortunately, some of Edmunds’ best work is not represented on this collection, such as his collaboration with the Stray Cats (The Race Is On) and his perfect duet with Carlene Carter (Baby Ride Easy). Although the rarities and live cuts make this a set worth owning, the 41-song Dave Edmunds Anthology issued by Rhino in 1993 is actually a more comprehensive outing. For some arcane legal reason, 1980’s Seconds of Pleasure was the only album released under the Rockpile moniker, but there’s actually quite a bit of material available from the legendary group, which was co-headlined by Edmunds and bassist Nick Lowe. For example, Edmunds’ Repeat When Necessary and Lowe’s Labour of Lust are both actually 1979 Rockpile albums. The bar-band pop on Seconds of Pleasure relies heavily upon Chuck Berry and Buddy Holly riffs, but the results are remarkably pleasing. The best tracks remain Heart and When I Write the Book, and Columbia’s remastering sounds crisp and fresh. The extras include four renditions of songs by the Everly Brothers that originally appeared on a now rare, out-of-print EP as well as three incendiary live cuts. Seconds of Pleasure has always been an essential album for any rock fan, and this well-executed re-release merely increases its indispensability. 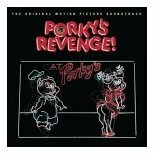 The soundtrack to an awful 1985 teenage T&A flick is an unlikely place to find some great rock ’n‘ roll, yet the Edmunds-produced companion to Porky’s Revenge is a true lost treasure. Five of the 13 songs on this reissue are recordings by Edmunds, and the best of these include High School Nights and a cover of Do You Wanna Dance. In addition, heavy hitters, such as George Harrison, Jeff Beck, Willie Nelson, The Fabulous Thunderbirds, Clarence Clemons, and Carl Perkins, were enlisted to participate in the project, and for the most part, they all faithfully perform chestnuts from the ’50s. By far, the weirdest rarity on the disc is Philadelphia Baby from The Crawling King Snakes, an unlikely collaboration of Robert Plant on vocals and Phil Collins on drums. The 2004 reissue adds another Edmunds-performed track as well as a 1985 recording of Honey Don’t by Carl Perkins. While there’s nothing essential on the album, it is still a fun set of songs from a notable batch of musicians, and the bulk of the material can’t be found anywhere else.